Will an AI Chatbot change how doctors look at depression and other mental health issues? Find out how tech and medicine are coming together. Depression is the main source of disability all over the world, and it can be lethal. Scientists, however, unfortunately know very little about it. What’s more commonly known about it is that talking appears to help, most especially with the counsel and direction of a licensed mental health professional. 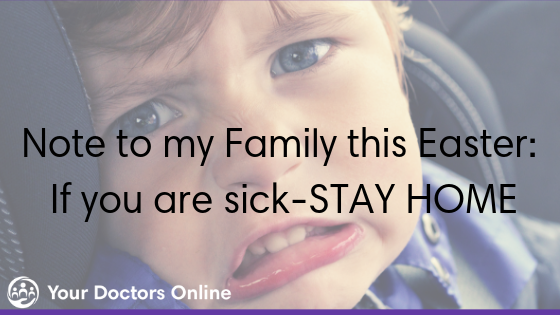 The problem is therapy is costly, bothersome, and usually difficult to approach. According to a recent estimate of the roughly one out of five Americans who have depression or other mental health issues, almost two-thirds went through at least one year without having any treatment. Some Silicon Valley-style methods or techniques have surfaced such as apps and chat rooms. Apps have substituted the traditional psychiatry office with texting, and chat rooms are where you can talk about your concerns, your depression symptoms, and your other mental health problems anonymously online. The most recent of these technology based treatments that emerged is the Woebot. It is an AI chatbot designed using cognitive behavioral therapy (CBT), which is one of the most researched clinical approaches for the treatment of depression. The Woebot was designed by a clinical psychologist at Stanford named Alison Darcy. She tested a version of this technology on a small sample of people who have depression and anxiety before even launching it. The outcomes of the experiment were published in the Journal of Medical Internet Research Mental Health. What’s the Woebot Study All About? Darcy gathered 70 participants who claimed they experienced symptoms of depression and anxiety. They were split into two groups where one group spent two weeks chatting with Woebot, while the other group was led to a National Institute of Mental Health e-book about depression. 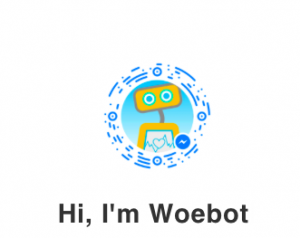 After two weeks, those who are in the Woebot group have reported chatting with the bot almost every day and showed a significant decrease in their symptoms of depression. For a type of treatment for mental health disorders whose results have been difficult to quantify because there is not much research that compared bot-to-human therapy with traditional human-to-human therapy, the Woebot results are actually promising. Be it with depression or other mental health issues, this AI chatbot is actually making a difference in someone’s life. This particular AI chatbot uses CBT to communicate with patients and some studies have recommended that the approach should be administered online. A review of mental health studies that were published not long ago in the journal World Psychiatry compared people who have received CBT online with people who have received it in person. 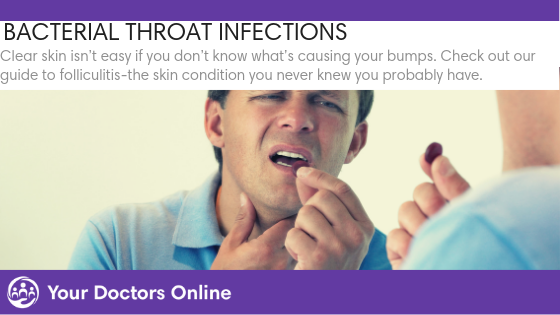 And it has been found that the online setting was as effective as the in person setting. 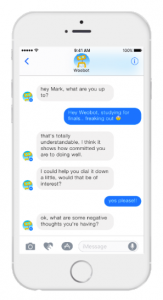 So once Woebot is administered online, Darcy’s AI chatbot could be able to help plenty of people who are suffering from depression and other mental health problems. CBT focuses on how we react to recent happenings in life instead of what happened to us in the past. And this is one of the reasons why the approach is effective even in the online setting. The AI chatbot developed by Darcy uses this methodology to identify areas where an individual may become involved in negative self-talk. This can mean that they see their surroundings in a distorted way and they feel terrible about it. One example for this is when your friend forgot about your birthday. Since you’re feeling sad at that moment, you might tell the AI chatbot that you feel like nobody ever remembers you or that you don’t think that you have any real friends at all. As a response, the AI chatbot may say that you’re participating in a type of negative self-talk called all-or-nothing talk. This is actually a distortion of reality because you have friends and people remember you and only one of your friends forgot about your birthday. According to Darcy, self-talk is a part of being human. It’s just that the types of ideas that we have really map onto the types of emotions we are feeling. She also mentioned that the Woebot, her AI chatbot, is not a replacement for traditional therapy. It’s just an addition to the toolkit of methods to preserve good mental health. She also said that her AI chatbot is not thought of as a better way to do therapy but as an alternative option. Her field hasn’t really given people an assortment of therapy options. Some people may not be ready to talk about their depression face to face with another person. So, talking to an AI chatbot may not be such a bad idea after all. Do you have mental health questions? Are you suffering from depression or anxiety? We have answers!